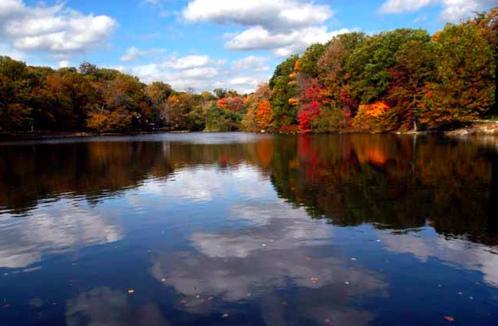 New Rochelle is planning major improvements next year at Beechmont Lake, including dredging, removal of lake sediments, repairs to the forebay and outlet structure, an additional fountain, removal of dead or diseased trees, and enhanced landscaping, as well as other possible amenities. You can learn much more about the project in this presentation, and you can also weigh in on several optional features through this on-line poll. We want to make sure that any changes at the lake are guided by community input. One important warning: the dredging and sediment removal process won’t be pretty. Having a healthier and more beautiful water body for decades to come justifies the temporary pain, but we should all brace for a messy-looking lake through the spring and summer of 2019.